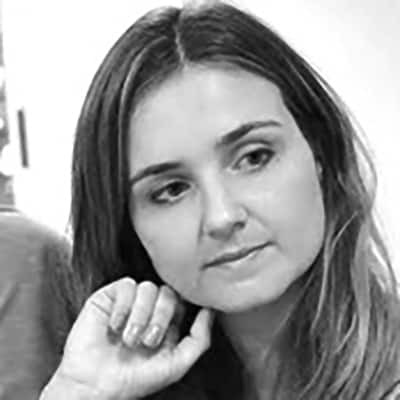 Maria Paz is a founding partner of Rizoma Arquitetura (www.rizoma.arq.br) with Thomaz Regatos. Her office has worked on award-winning buildings and projects, which are widely recognized through numerous international publications, among them, Wallpaper, Azul Magazine, AU, Vogue Brazil, Designboom, Arch Daily, L’architecture D’aujourdhui France, and the Financial Times, London, England. Her work is exhibited internationally. Recent venues include the Brazilian Pavilion at the 2014 Venice Architecture Biennale, the Carnegie Museum of Art in Pittsburgh, and the German Architecture Museum. Maria Paz and Thomaz regatos presented their work in numerous lectures in South America, Europe and the US. Their many awards include a nomination for the Mies Crown Hall Americas Prize. Paz was a teaching assistant at Cornell University, a guest critic at Columbia University, New York, and the Universidade FUMEC in Brazil. Other academic activities include a Seminar at CONARQ Maceió and a roundtable discussion at Yale School of Architecture. Maria Paz has also worked as a researcher in the curatorial team at the Storefront for Art and Architecture in 2014/2015. Since 2013 she has been a member of the Architecture Council at Inhotim in Brazil. Maria Paz received her Bachelor in Architecture and Urbanism from FUMEC University (Belo Horizonte, Brazil) and her Master of Architecture from Cornell University (Ithaca, United States). Her undergraduate thesis was awarded the national contest “Opera Prima”.